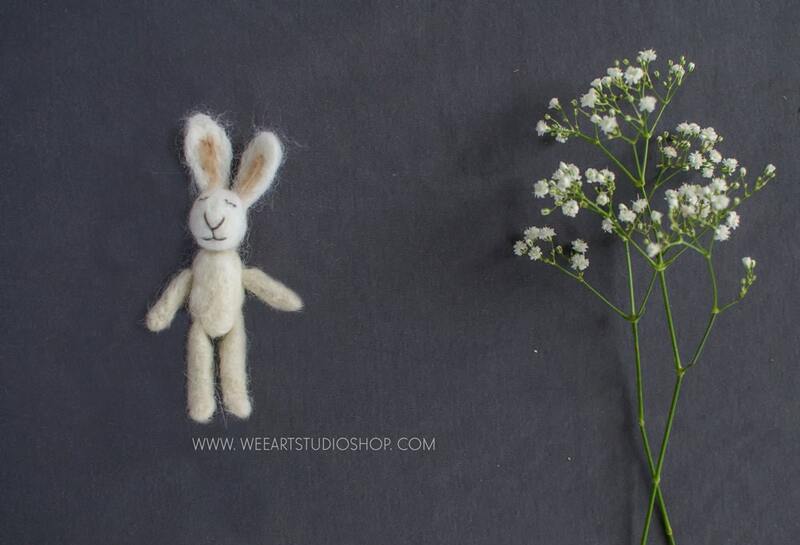 This adorable Tiny Rabbit made of merino wool. His little body measures +/- 4.6 inches (12 cm) tall. 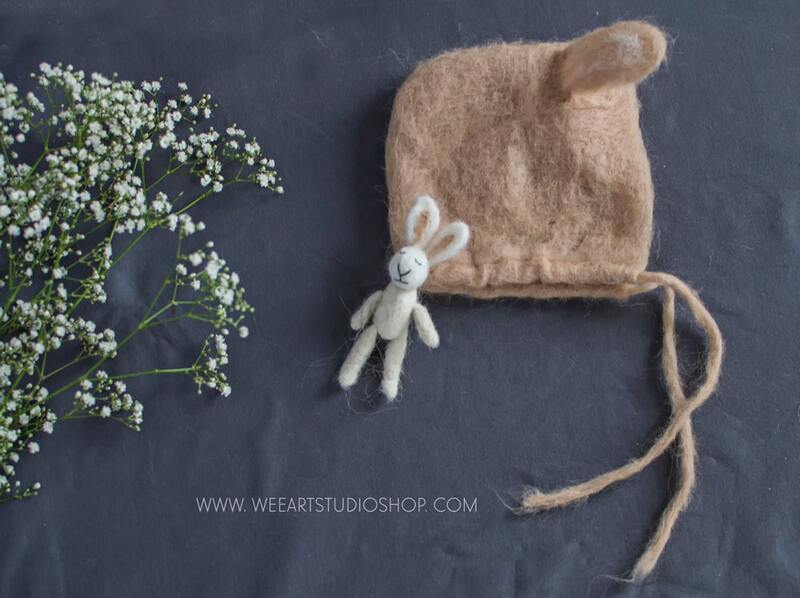 This soft Rabbit is the perfect size for a newborn to hold while taking baby's first photos. This little bunny is so sweet. Made slightly smaller to fit in my granddaughter's dolls house. She loves it. Thank you. OMG!! LOVE ThIS! Either need to learn how to make them or order more!!! 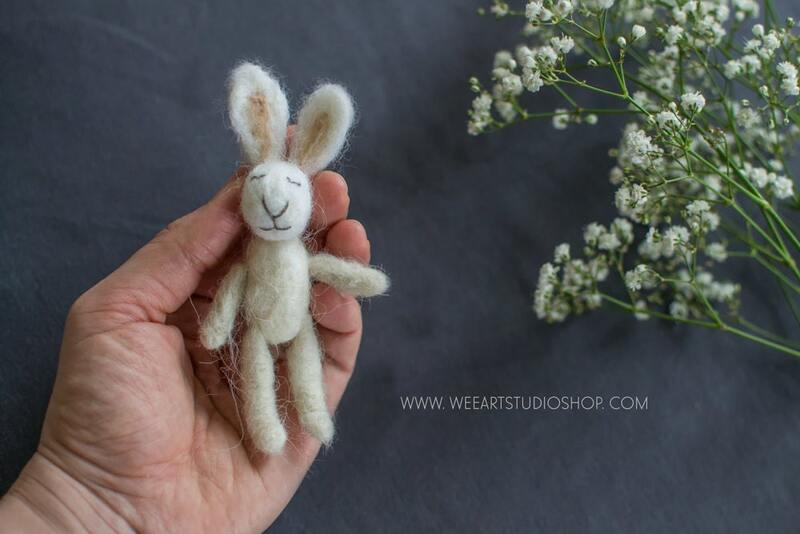 This beautifully made little rabbit was purchased for my grandaughter, but she will have to play with it at my house, as I cannot bear to part with it. It has obviously been created with love and care by this very talented artist! I am delighted with everything about this transaction. Thank you!